Sri Lanka Tea Board chairman Rohan Pethiyagoda discusses the challenges facing the country’s traditional trade sector. GTR: Ceylon tea is considered premium in Europe. In terms of your export market, are you pushing this ahead of quantity? Pethiyagoda: It’s always been about quality. In the 148 years since Ceylon tea’s been growing here, quality has always been the focus. A lot of other tea manufacturing countries have gone in the direction of teabags, which are perceived as not offering the same level of quality as long-leaf tea, and the Sri Lankan manufacturing system is geared towards high quality: the orthodox method versus the CTC [crush, tear, curl] method, which is used for example in Kenya. GTR: Why is that? Surely the temptation to go to mass production exists? Pethiyagoda: There’s a bit of that, but it’s a very small part of the market. Most manufacturers are sensitive to the demand of high-quality tea from Sri Lanka or they wouldn’t get the prices. If you’re going to earn a dollar more a kilo than everyone else, then you have to give something for that. GTR: Explain how it works: is there a central distributing function? Pethiyagoda: There are about 700 tea factories in the country. All the tea has to be sold through the Colombo Tea Auction. Each factory has one or more brokers who auction their tea two days a week. The buyers must buy the tea only at the auction – there’s a very small percentage that can be bought at the factory. This allows for a very transparent system in which the seller gets the highest possible price and one seller can’t be played against the other. GTR: Does that protect it from the volatility and externalities of commodities markets? Pethiyagoda: Not really. Sri Lanka produces less than 10% of world tea, so world prices do dictate what we can do. We believe we’ve got the best tea in the world but in terms of quantity we’re quite small. GTR: Does your model differ? Pethiyagoda: Everyone uses the auction system. Factories sell by auction and it has strengths and weaknesses. It has transparency and allows everybody to maximise price. On the negative side, if you imagine doing the same thing with French wine you very quickly lose the advantage. You’re losing the value of your appellation, your region and all the other factors that go back 200 or 300 years, may be diluted because you’re selling through a common forum. Kenya, for growing pretty much exactly the same area of tea as Sri Lanka – 200,000 hectares – has only 110 tea factories. We’ve got 700. One would have thought that having that many factories would mean more potential marketing opportunities, but the auction impedes that; it’s a leveller. If you didn’t have an auction system, individual factories could probably do more to identify themselves with their brand, like a French vineyard would. But you have the problem that in a market which has stronger buyers than sellers, you could easily end up depressing the prices for everyone. 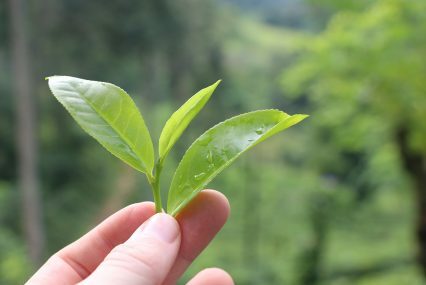 GTR: In terms of finance, what is the role of banking in the tea sector – is there much government funding? Pethiyagoda: The government doesn’t usually intervene in financing the industry unless there’s a problem. This year there has been a problem so the central bank stepped in to give a preferential interest rate, 2 points less than commercial rates, to the industry for working capital to be shared across the industry, but through private banks. The companies go to their own bank which can get a low interest loan from the central bank. Otherwise a lot of plantations borrow from their brokers. They manufacture the tea, it’s sent to the brokers’ warehouse for auction. The broker values the tea and advances the money. GTR: Like a supply chain finance solution? Pethiyagoda: Yes – everyone pays interest! It’s not a new thing, these are very traditional methods. They’re not very securely underwritten, but they always work and the assumption is that they always will. GTR: How are labour issues affecting the tea industry as Sri Lanka develops? Pethiyagoda: The industry always complains of a shortage of labour. That is in a way a good thing, because it means people are getting jobs. But labour is a big issue. In Kenya, a worker earns less than one-third of a Sri Lankan worker, and plucks more than twice as much tea in a day. That’s why they’re making lots of money and we’re not – labour costs so much. In the long term I would imagine Sri Lanka’s tea industry will end up with a model much like Australia or Japan, both of which still grow tea despite being developed countries, because they’ve made it a high-level niche rather than a mass-production industry. GTR: Is there a fear that Sri Lanka will outgrow the tea industry? Pethiyagoda: There is, but it will be transformed. It may become a low-volume, premium-priced product. That’s the direction development will inevitably take us. No developed country has an agricultural base, you have to have an agricultural sector that adds value. Very few manage to go from an agricultural to a service economy without long-term pain. I hope Sri Lanka will be lucky because an industrial phase tends to be painful. Workers get exploited, you have environmental issues, so to make the transition from agricultural to service is the challenge. We’ve not got there yet I think we’re still largely dependent on agriculture. We need to have an economy that thinks in terms of service. GTR: How does the regulatory environment affect trade? Pethiyagoda: Like many developing countries, we’re over-regulated. We’ve got India sitting over us – far more heavily regulated than here… companies are stifled by regulation. But we still haven’t seen the opportunity of deregulating ourselves even further, so we have the model where Indians behave towards us like China does to Hong Kong. Indians would come, stash their money here, look at this as a destination which is of economic and recreational value, because we need to deregulate to a level that we ourselves see as dangerous. GTR: Do you envisage Sri Lanka being a regional trade hub like Hong Kong or Singapore? Pethiyagoda: The problem is that you have two competing issues; Sri Lanka has a very high population for a country its size, 380 people per square km. We’ve got the kind of density they have in the Netherlands. With this density, we have to offer lots of services… education, health and so on. You offer these services in return for paying high taxes. By and large, people think the tax system is fair. We fought a terrible war against terrorism for three or four decades. But now that it’s over, the tax rate has not come down because the money is going into areas that were held back for so long: roads investment, getting the airports up to speed. We have infrastructure needs that need funding. So taxes remain high. That’s not a good environment for trade. GTR: How does government support exports – do you have an export credit agency? Pethiyagoda: We do, we have the Export Credit Council. It largely underwrites. The industry is facing a challenge. Buyers no longer want to go through the route of establishing an LC and buying through a highly regulated buying system. They want to send a purchase order, the tea gets shipped and the money sent. As trust develops between buyer and seller, they want to get into an easier way to trade and much less expensive. But again there are regulations around this. It’s pretty much compulsory to use an LC because of capital controls and I can’t see a time that we move away from this and float the rupee: we have to have control. There’s a political consensus that we won’t go to a market economy because we don’t want the social pain that brings. We’d like to be a little more caring towards people. But the problem with doing that is that you can’t develop as rapidly as you’d like, so we’re trying to find that balance. The government targets growth rates of around 8%, but to have a rapid, Singapore-like growth rate for Sri Lanka is going to be difficult.